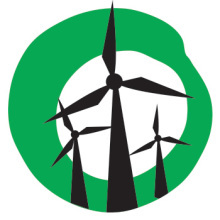 Published by CleanTechnica. View the original article. WASHINGTON — It’s less costly to get electricity from wind turbines and solar panels than coal-fired power plants when climate change costs and other health impacts are factored in, according to a new study published in the Journal of Environmental Studies and Sciences. In fact—using the official U.S. government estimates of health and environmental costs from burning fossil fuels—the study shows it’s cheaper to replace a typical existing coal-fired power plant with a wind turbine than to keep the old plant running. And new electricity generation from wind could be more economically efficient than natural gas. The findings show the nation can cut carbon pollution from power plants in a cost-effective way, by replacing coal-fired generation with cleaner options like wind, solar, and natural gas. Johnson co-authored the study, “The Social Cost of Carbon: Implications for Modernizing our Electricity System,” with Chris Hope of the Judge Business School, University of Cambridge; and Starla Yeh in NRDC’s Center for Market Innovation. Power plants are the nation’s single largest source of such pollution, accounting for 40 percent of our national carbon footprint. President Obama has vowed to do that, using his authority under the Clean Air Act to set the first federal limits on the amount of carbon pollution power plants may release. Critics claim that could raise costs. But, in fact, it can reduce the total cost of electricity generation, the new study finds. Carbon pollution imposes economic costs by damaging public health and driving destructive climate change. Working together, the White House Office of Management and Budget, the Treasury Department, the Department of Energy and eight other federal agencies put a dollar value on those damages, in an official figure called the “social cost of carbon” (SCC). The SCC is used to calculate the benefits (i.e., avoided climate damages) of carbon pollution reduction. The administration puts the best estimate at $33 per ton of carbon pollution emitted in 2010. The study also included government damage estimates from sulfur dioxide, a pollutant released simultaneously with carbon. Every year, sulfur dioxide causes thousands of premature deaths, respiratory ailments, heart disease and a host of ecosystem damages. Already, climate change is contributing to record heat waves, floods, drought, wildfires and severe storms. Such extreme weather caused more than $140 billion in damages in 2012. American taxpayers picked up nearly $100 billion of those costs, according to an NRDC report released in May, 2013. “These damages are only likely to increase if nothing is done to reduce carbon pollution,” Johnson said.